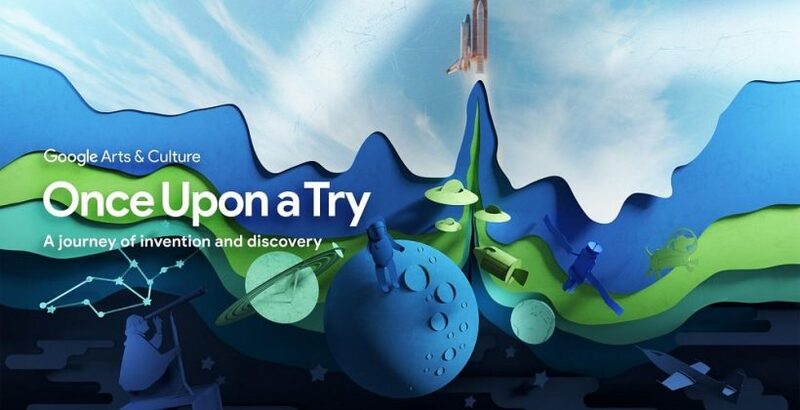 The Arts & Culture department of Google surprised everyone again with their Once Upon a Try project. It’s an online museum specialized on human and scientific discoveries. You can reach it in your browser or in the Google Arts & Culture application available both on Google Play and iTunes. For this one, Google contacted NASA, CERN, the Smithsonian, and many more organizations and museums to get the best of the best on display. In total, it offers about 200,000 images, and all of them are not only beautiful and exciting, but also enlightening. NASA’s progressive machine learning has made it possible for you to go through thousands of photographs and artist pictures of our universe in a couple of steps. Just use easy hashtags to see anything space-concerned, starting with astronauts and space suits and finishing with computer manipulations of the whole universe as we know it. Learn about how color photography has emerged, what attempts and fails there were before reaching the color range we have now, etc. The series will tell you about everything starting with how the first pictures of the light spectrum of the Sun were made and finishing with the history of any part of old and new cameras. The range of colors you will see in this experience will leave you in awe for the rest of the day. This experience will get you to the VR world to show how the Universe was created, according to the theory of the Big Bang. A very pleasant to this experience is the narration of the story by Tilda Swinton. It’s available as an app, so take your VR glasses and learn about the beginning of it all. This experience will broaden your mind and make you change your worldview. Gunpowder can be used not only for war and violence. This course tells the history of gunpowder creation and use in China. It focuses on Chinese artist Can Guo-Qiang and how he found beauty in this dangerous substance and decided to use it in art. All in all, there are more than 400 projects available within this online museum. All of them are entertaining and interactive, so you can learn about the discoveries we’ve made so far in the most interesting way.